J.R. Weingartner Jr. - ART: Multiverso comic con! Ok guys… so much to do.. but fortunately I’m in vacations for two weeks. 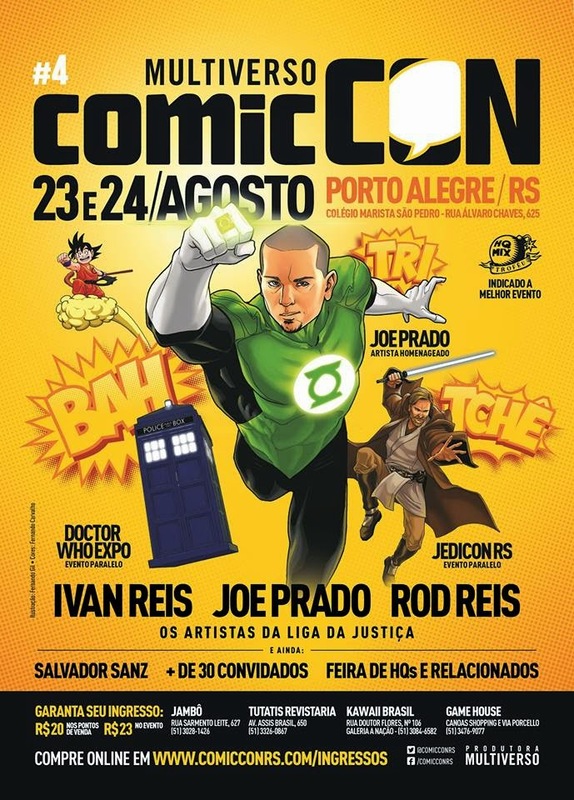 So, I will be in the Multiverso comic con here in Brasil, Rio Grande do Sul – Porto Alegre. And i deliver a lacture about “politic and HQs”. I will be in the stand of collectors of comicbook from RS selling my arts and make and drawing sketchs. Here is all program of the event. 14h30 Lançamentos: 321 Fast Comics e Pedro Leite. 17h30 Ivan Reis, Rod Reis, Joe Prado.